• Maryland media reported in February on the arrest of a school bus driver for DUI. What made this story really unusual—and a little scary—is that the driver was driving erratically on the busy Baltimore Beltway, on her way to pick up children for a field trip to Washington D.C. Police pulled the driver over after receiving several frantic 911 calls from motorists who observed the bus swerving all over the road. Officers found four empty, full or partially full containers of alcohol and beer when they searched the bus. • Where do Secret Service agents go when they’ve had a little too much to drink? 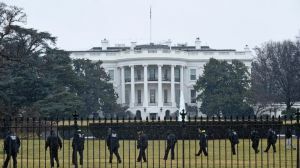 The Washington Post reported in March that four senior agents, including one who helps guard the President, decided to head back to the White House after partying a little too much. Unfortunately for them, they ended up driving a government car into a security barricade at the President’s home. Fortunately for them, the security supervisor that night ordered subordinates to let them go without testing them for BAC. • Then there was the Zamboni driver who was smoothing the rink at the Fargo, North Dakota, South Sports Arena for an ice hockey game between the Davies High School and Williston High School girls’ teams. The driver apparently had a difficult time keeping the machine in a straight line; after observing him at work, concerned spectators called police who arrested him for allegedly driving under the influence. The driver has pleaded not guilty, so it will be up to the courts to decide if a DUI charge applies when a vehicle is moving on ice.